In the late 1990s, an experimental conservation project in Costa Rica saw a juice company dump 1,000 truckloads of discarded orange peel on degraded land. Unfortunately, the project was forced to end in its second year and was forgotten about – until now. Nearly two decades after the project was abandoned, the orange peel has grown into a thriving lush green forest. In 1997, two ecologists from the University of Pennsylvania approached Del Oro, a Costa Rican orange juice manufacturer. 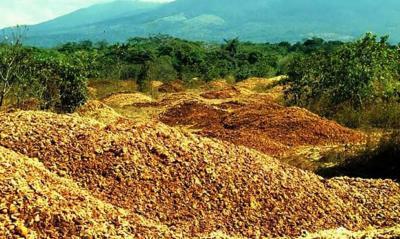 They said that if Del Oro agreed to donate parts of its land bordering the Guanacaste Conservation Area, a national park, the company would be free to dump its waste orange peel at no cost in designated zones where the soil quality was poor. Del Oro decided to seize this unique opportunity and some 12,000 tonnes of orange peel was dumped on the deserted pasture. Two years after the project kicked off, a rival juice company, TicoFruit, decided to sue Del Oro. TicoFruit had been made to revamp their own waste-processing facility and claimed that the Del Oro’s dumping of waste, which initially created massive piles of rotten peels and flies were not only dangerous but also unfair. A full blown press campaign ensued and Costa Rica’s Supreme Court ordered the project to be shut down. In 2013, a group of Princeton Researchers visited the Guanacaste and found that the dumping area was revitalised. Despite the project’s early cancellation, the vast amounts of nutrient-rich organic waste had a tremendous effect on the fertility of the land. The researchers measured trees, canopy growth and soil health in the region compared with a nearby area (where no dumping haf taken place) and the results were astonishing. The agricultural waste already deposited on the 3-hectare (7-acre) site led to a 176 percent increase in aboveground biomass. The findings are reported in Restoration Ecology. No one is entirely sure how the orange peels were able to regenerate the site so effectively in just 16 years of isolation. Truer who headed the research said “That’s the million dollar question that we don’t yet have the answer to.” He added, “I strongly suspect that it was some synergy between suppression of the invasive grass and rejuvenation of heavily degraded soils.” Truer also shed light on current environmental practices,”It’s a shame where we live in a world with nutrient-limited degraded ecosystems and also nutrient-rich waste streams. We’d like to see those things come together a little bit,” he said. The controversial experiment may have ended sourly but it definitely bore fruit. The researchers hope that the remarkable success of this project will inspire other similar conservation projects. 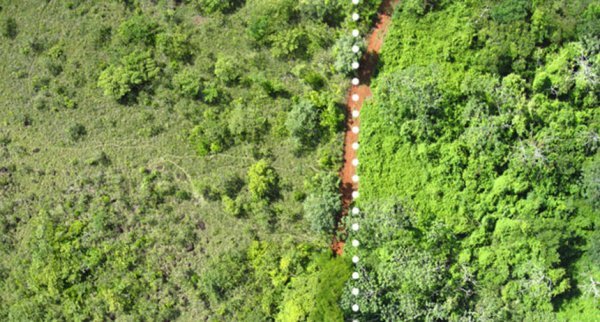 The dumping had such a positive impact on a degraded area and could encourage others to protect large areas using ecological methods.